Find a Country & Western Band for hire near you in minutes! Option 1. Enter your event location below & contact a Country & Western Band directly! Option 2. Request multiple quotes from available Country & Western Bands Get Quotes! Option 3. Read information & advice on hiring Country & Western Bands Read Advice! WANT TO KNOW MORE ABOUT COUNTRY AND WESTERN BANDS? Read on for the most comprehensive guide to booking Country and Western Bands, including how much a Country and Western Band costs, exactly what they will do at your event, plus tips, advice and information to help make your event one to remember! With a Country and Western Band, you will get a group of professional musicians who will play the most popular Country and Western songs in the world! What exactly will a Country and Western Band do at your event? A Country and Western Band will dazzle your crowd with the best Country and Western songs, ever! When you think of Country and Western songs, there may be many that come to mind, but here are just a few to remind you how brilliant this musical genre is: ‘Jolene’ by Dolly Parton, ‘Ring of Fire’ by Johnny Cash, ‘The Red Strokes’ by Garth Brooks, ‘You Never Call Me By My Name’ by David Allen Coe, ’Stand by Your Man’ by Tammy Wynette, ‘King of the Road’ by Roger Miller, ‘Your Cheatin’ Heart’, by Hank Williams Jr, ‘ ‘The Gambler’ by Kenny Rogers play many, many more! Mainly, a Country and Western Band will entertain your audience with a fantastic live show that will put the wow factor into celebrations and impress your guests, whatever their entertainment tastes may be. What event types are Country and Western Bands hired for? If you are a Country and Western mega-fan, then you may want a Country and Western Band to perform live at your wedding ceremony! The Country and Western Band can be set up to play at your wedding venue and can play a romantic Country and Western song as the bride is walking down the aisle. May we suggest the warm-hearted ‘I Do’ by Paul Brandt! After the register has been signed by the bride and groom, then you may want them to perform an upbeat Country and Western song such as: ‘Country Girl’ by Luke Bryan. The Country and Western Band may be able to offer a stripped down version of their full band to play at your wedding drinks reception. This may consist of just a Country Singer and Guitarist, but it will bring a brilliant, relaxed atmosphere to your wedding drinks reception! The Country and Western musicians can play inside or outside (weather permitting) and can play great, Southern music to chill everybody out! The wedding breakfast will consist of the bride and groom cutting the wedding cake and wedding speeches. in-between all of this, a Country and Western Band can be set up on stage to play the best Country and Western hits ever! They can play instrumental versions as to not distract your crowd too much, or they can play with the vocals present, which ever you prefer. If you are looking for a wedding band that will appeal to everyone, then may we suggest hiring a Country and Western Band?! Country and Western as a genre is so diverse because there are so many different types of Country music. The Country and Western Band can play Country Rock, Country Pop, Country Dance, and maybe even Country Rap! They’ll certainly be a lot of Country and Western songs to choose from for the newlyweds all important first dance! Other great things about hiring a Country and Western Band for your wedding evening reception is that they can play romantic Country ballads that people can slow dance to, or they can play Country rockers that people can line-dance to! 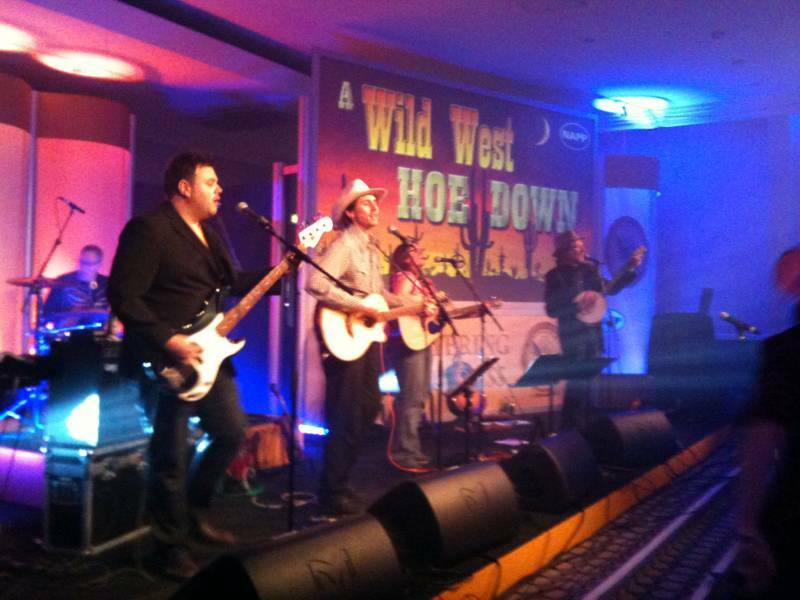 Hire a Country and Western Band for your corporate events entertainment and you will not be disappointed! The excellent thing about Country and Western music is that ultimately it brings people together! So what better way to break the ice than to hire a Country and Western Band! The Country and Western Band can be set up to play on the stage at your annual work-do. Whether it’s a works Christmas Party (there a lots of Country and Western Christmas songs!) an end of financial year party, a work leaving party! 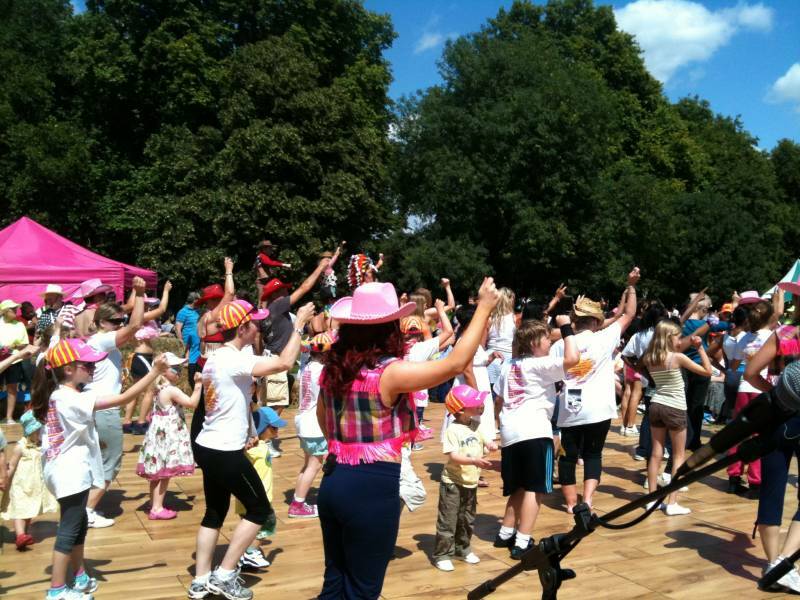 A Country and Western Band would be great for a Summer fate or festival, as music fans will adore the sounds of Country music whilst standing in the sun! 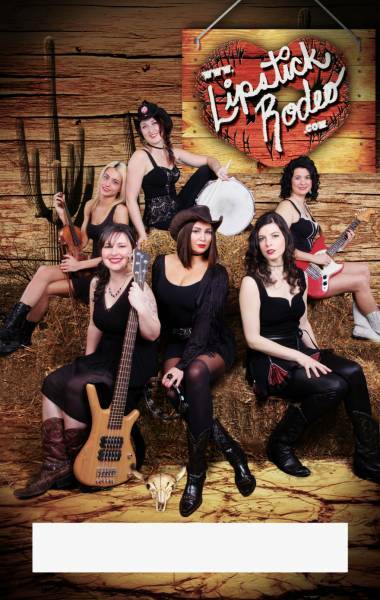 Hiring a Country and Western Band for your party entertainment?! We don’t blame you! A Country and Western Band will play Country and Western chart hits such as ‘I Walk the Line’ by Johnny Cash, ‘9 to 5’ by Dolly Parton, ‘ ’Take Me Home, Country Roads’ by John Denver, ‘Rhinestone Cowboy’ by Glen Campbell, ‘Crazy’ by Patsy Cline, ‘You’re Still the One’ by Shania Twain and more! If you are hosting a Country and Western party this year for your annual bash, then hire a Country and Western Band to provide the great Southern music and have fun dressing up as Cowboys and Cowgirls! The great thing about booking a Country and Western Band for your party entertainment is the a lot of contemporary Country and Western Cover Bands play modern hits in the style of Country music! Check out The Gregory Brothers version of ‘Wrecking Ball’ by Miley Cyrus and you will see what we mean! Well known Country and Western Bands have also been known to cover anything from Adele to Elton John, from Britney Spears to Nine Inch Nails! Put a twist of proceedings and hire a Country and Western Band to spice things up! The Country and Western Band will provide you with a setlist that can be discussed before your event. How much do Country and Western Bands cost to hire? Our simple to use entertainment directory allows you to firstly search for the best Country and Western Bands who are local (or travel to your area) and then via the contact form you may message them directly to enquire for a no obligation quote to perform at your event. Some acts will also add a rough price guide to their profile for your convenience. What are the usual set formats and performance lengths for Country and Western Bands? A Country and Western Band can tailor their performance to times to suit you and your event, however, on average a professional Country and Western Band will perform for two 45 minutes sets. How much space will a Country and Western Band need at your event? A Country and Western Band will need enough space to play comfortably as a 5 piece, which is the average amount of musicians in a covers group. You will need to provide space for a drummer, a bassist, a guitarist, a keyboardist and a singer. The average space needed for a stage is 4 meters wide and 3 meters deep. What equipment and set up requirements do Country and Western Bands need? As with most artists who sign up to Entertainersworldwide.com, a Country and Western Band will provide all of their own equipment. You may want to enquire if an artist needs a PA to amplify their sound, in which case we would advise to use our easy to use messaging service to find out. We do ask that each performer gets a backstage area in which they can prepare for the performance ahead. If your venue does not have a backstage area, then we kindly ask that you enquire with the venue to seek an alternative space in which the performer can comfortably get ready to entertain. How can you find and book a Country and Western Band with Entertainersworldwide.com? WANT TO RECEIVE A RANGE OF QUOTES FROM Country & Western Bands?